Do you really want this for our village? If decommissioning oil rigs and large vessels would guarantee real jobs for local people to then boost our local economy, and protect our unique marine coastline – then maybe… BUT IT ISN’T! NAC have approved the first stages of construction without requiring an Environmental Impact Assessment, (EIA). This means Peel Ports can pile drive, dredge and deposit materials without statutory controls specific to this beautiful location, as well as not consider the unique marine and coastal environment. This is like building a car factory and not assessing the environmental impact until making the first car. Building the site , as well as the planned decommissioning operation will cause real damage. 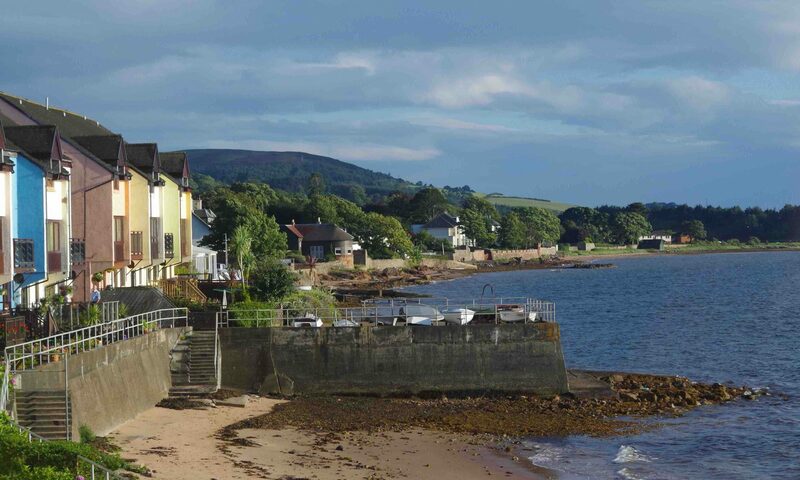 Following recent publicity in the Largs and Millport Weekly News,Peel Port had to cancel their pre-consultation meeting on the 14th June at Seamill Hydro, because the hotel were concerned about ‘public order’. 1900 people have now signed the petition against this. FCC have been since been invited to a closed meeting with Peel Ports, which we will tell you about in another post, and we will also invite them to our village for a public meeting! Cesscon who intend to operate the decommissioning have already started to promote Hunterston PARC. Look at the video and make up your mind. Have you heard the noise coming off the proposed ‘Asset Preparation’ jetty this week, with only one of their machines operating? This is just making the jetty ready for future works. If the plans go ahead, operations will take place 24/7, meaning that residents will have to cope with the noise and air pollutants. The local dolphins, porpoises, whales, seals, and birds, are equally at risk. The petition link is at the top and below on this page. Please, sign and share if you want to help stop this development from happening. Equally, use our contact page if you have views for us to take to the Peel Ports meeting.